Bell Sleeve Womens Blouse. Dispatched with Royal Mail 2nd Class. 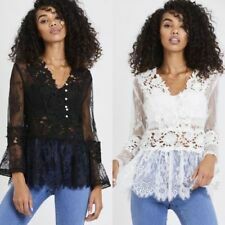 Women Floral Lace Bell Sleeve Tops Blouse Boho Tunic Summer T-Shirt Blouse new. 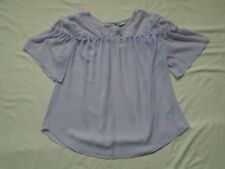 Used Warehouse Blouse Size 14. Condition is Used. Dispatched with Royal Mail 1st Class. 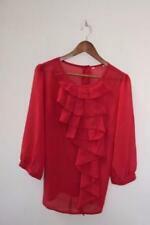 This blouse has only been worn once so is in fantastic condition. 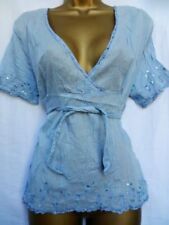 It has nice floaty sleeves & buttons all the way down the the back which flatter the look. Peach Blouse Size 10. Dispatched with Royal Mail Signed For® 2nd Class. Bnwt Zara Floral Top/blouse Size M(12). Condition is New with tags. Dispatched with Royal Mail 1st Class. beautiful teal green with cape style sleeves, button fastener to back, belt time's, chiffon feels, size 10, BNWOT , perfect.